The Blue Staircase is an 11 x 15 acrylic marbling. It reminds of the mystery books my father used to read. Once you reach the top of the staircase you do not know what you will find. Dreamsicle is a beautiful 11 x 15 double marbling. It is reminiscent of summer time and eating ice cream. 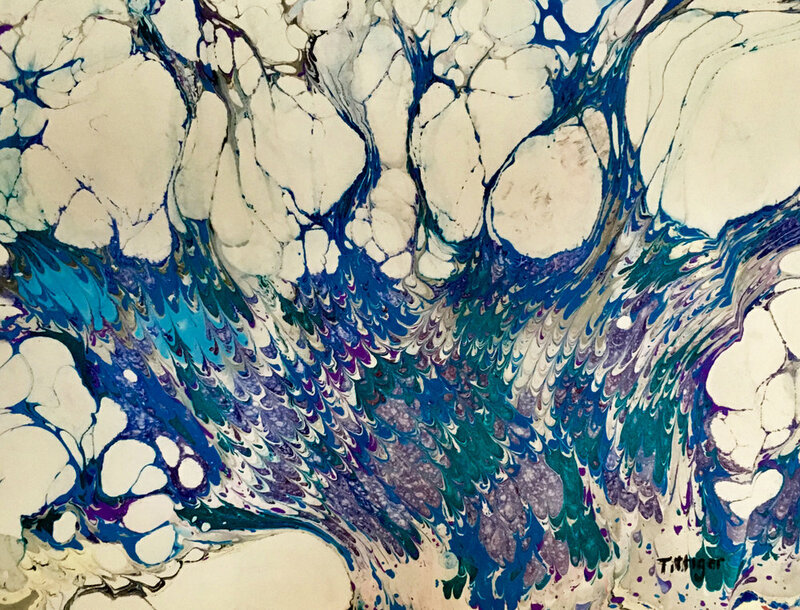 Snowdrop is an 11 x 15 acrylic marbling. I did this at the end of the winter when Spring was almost here. It is like water running with snow in it. Turquoise is an 11 x 15 acrylic marbling. The beautiful aqua and purples are like the sea. 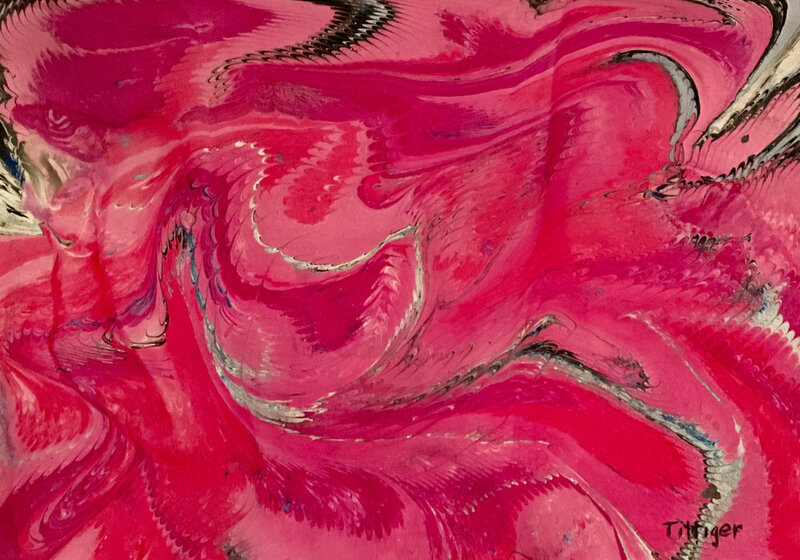 Pink River is a vibrant 11 x 15 acrylic marbling. Swirled Tulips is an 11 x 15 of beautiful impressionist tulips.